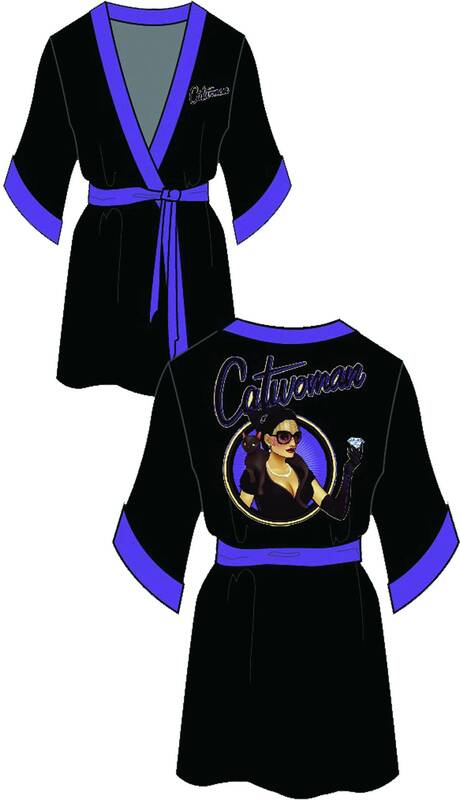 Would You Wear a Bombshells Robe? 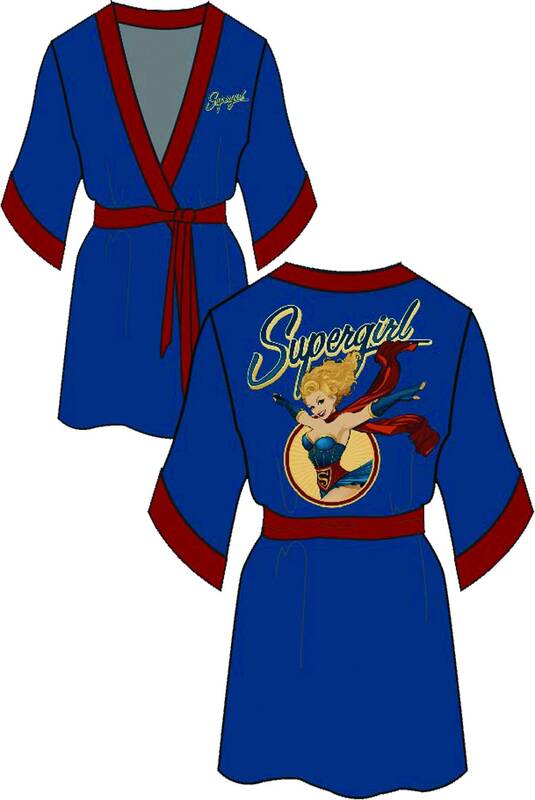 Diamond Comic Distributors would like you to know that there’s still time to order DC Comics Bombshell robes, as shown in the January Previews catalog. Images and codes are below, to use at your local comic shop, where the robes are exclusively available. They’ll be shipping in mid-February (but too late for Valentine’s Day). 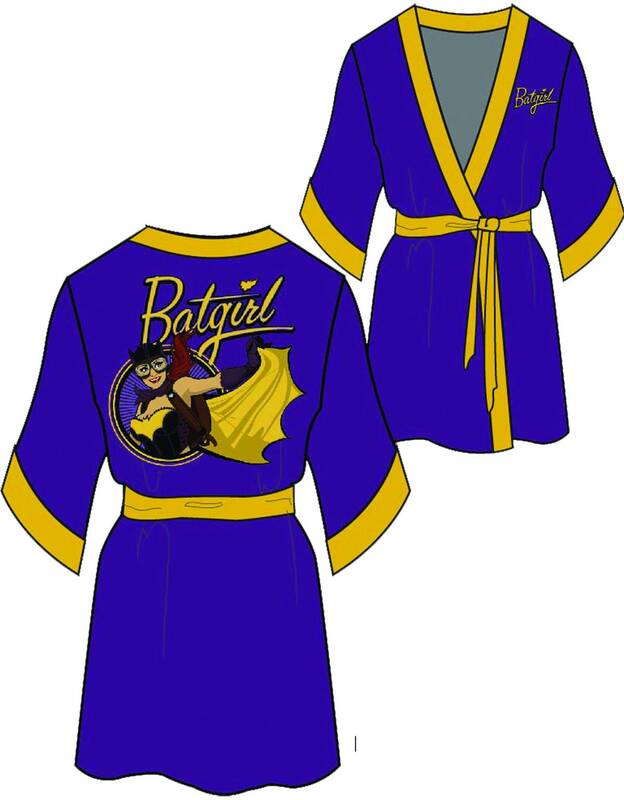 “The satin robes feature some of the leading ladies of DC Comics such as Batgirl, Wonder Woman, Poison Ivy, and more in a collection of colors representing each character.” The imagery comes from the faux-40s art by Ant Lucia originally used as comic variant covers last June. 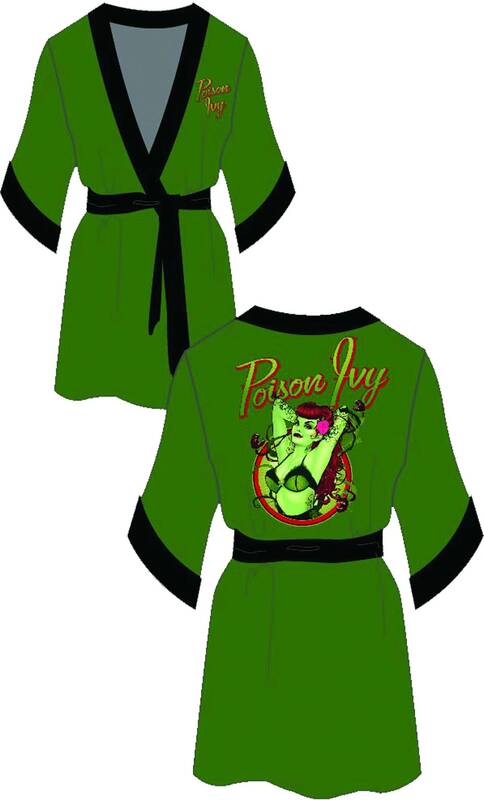 Each robe is $48 and comes in either Small/Medium or Large/X-Large. I think it’s a neat idea to have some women-centered merchandise, but I suspect these are most likely to wind up as gifts from fanboy to girlfriend (or fangirl to girlfriend, for that matter). 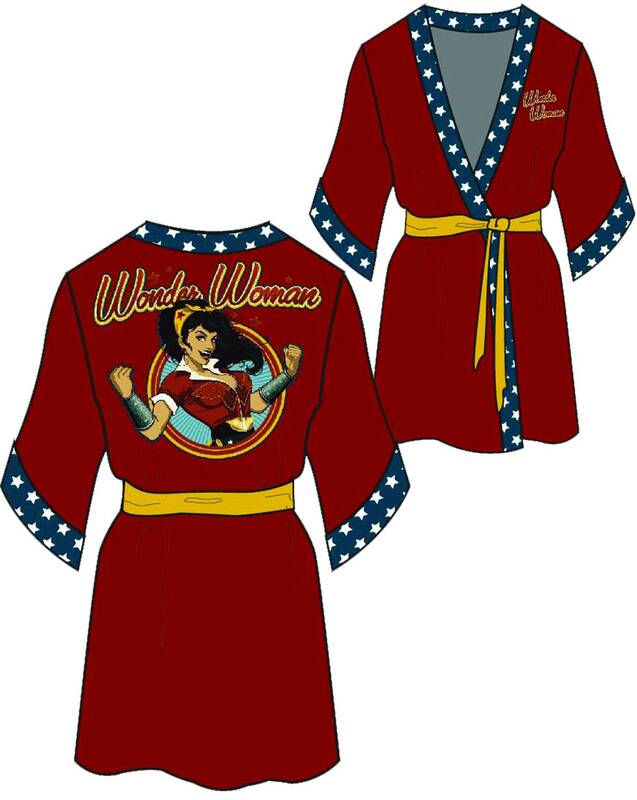 I like the Wonder Woman best because of the starred trim.